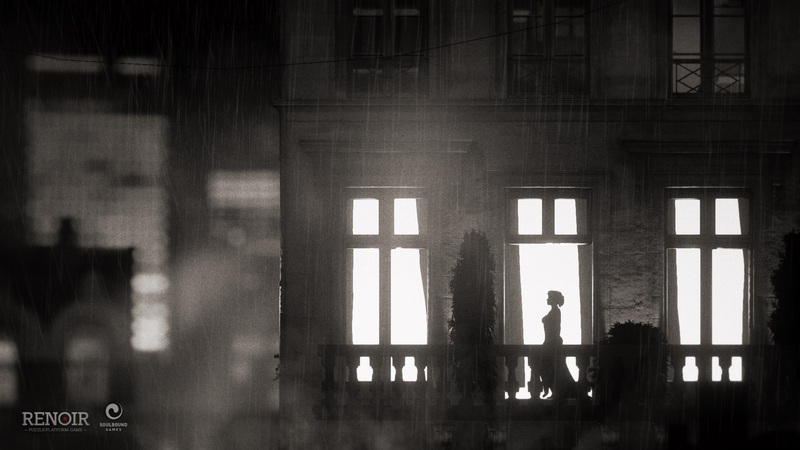 Home Read Why Did Noir Platformer Renoir Fail on Kickstarter? 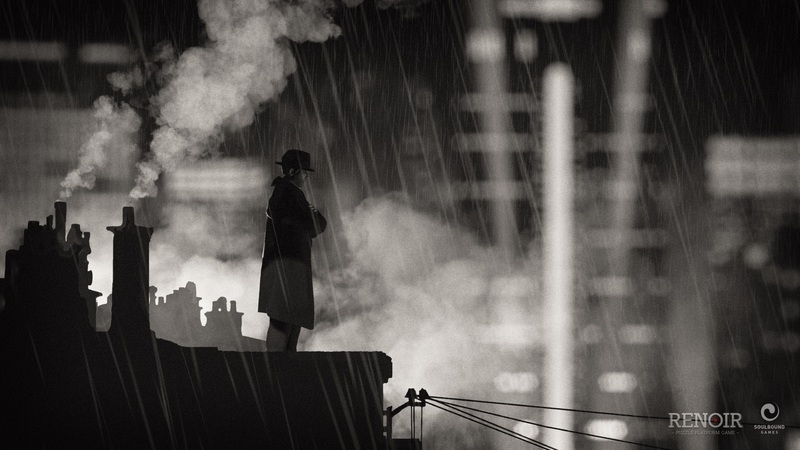 Why Did Noir Platformer Renoir Fail on Kickstarter? [dropcap size=big]I[/dropcap]t’s sad to see a crowdfunding project not make their goal. It’s even sadder to see the developers decide to cancel the run while there’s still time left on the clock. Unfortunately, it looks as if the latter is the case for the platformer puzzler Renoir. Which comes as both a surprise and not quite a surprise at the same time. I know, those are pretty much mutually exclusive. But hear me out. Here’s the deal. Renoir had a lot going for it. If it weren’t for me trying to be a bit more discerning in what I back these days I probably would’ve jumped on board day one. And not just because I’m a fan of noir stories. Which I am. What very nearly sold me early on was that combined with the somewhat unique gameplay that I’ve only really seen in Flash games on Newgrounds and Kongregate. The use of other characters to help the gumshoe get around obstacles is a feature that really caught my attention. So, why did they cancel the campaign for Renoir when it still had over a week left? The most obvious answer? The money just wasn’t flowing in. They did great out of the gate but some projects just stall and flounder after the initial surge. And this one certainly seemed to fit the bill. Which does come as a surprise because they were doing so well at the start. Ten percent the first day, even. Which isn’t too bad, to be honest. Add to it that the game got Greenlit in the first week meant that enough people were interested in Renoir but apparently weren’t willing to vote with their wallet. Up until the time they decided to pull the plug the campaign managed to get only around 18.5%. That’s a pretty miserable total to wake up to, I must admit, and I don’t blame them for canceling now. While I generally prefer to see campaigns eke it out to the end, just on the off-chance that a miracle is pulled off, at least they gave a pretty decent reason for making this decision. They didn’t want to deal with the stress that Kickstarter usually brings. After looking at the pitch, reading the comments, and browsing through all of the updates released up to this point I’m left scratching my head as to why Renoir seemed to lose steam so quickly. They had a solid, although admittedly not perfect, pitch and the story and gameplay is certainly an eye catcher. Throughout the run Soulbound kept in touch with the backers, both in the comments as well as pumping out nine (counting the cancellation notice) updates. And these updates are actually full of interesting looks under the hood. Now, I haven’t been following Renoir as much as I probably wanted to so I can’t comment on their social media campaign. From the sounds of the update they weren’t pushing the game as hard as they should have. Which is a shame as I’d love to have seen this one make it. Still, it doesn’t seem like they’re down and out yet. While there’s no plan of attack mentioned, they are still determined to get it out one way or another. Which I’m glad to hear. If you want to be kept abreast of future updates, then you can follow them on Facebook or Twitter as well as signing up for their newsletter. I’m certainly doing all three.